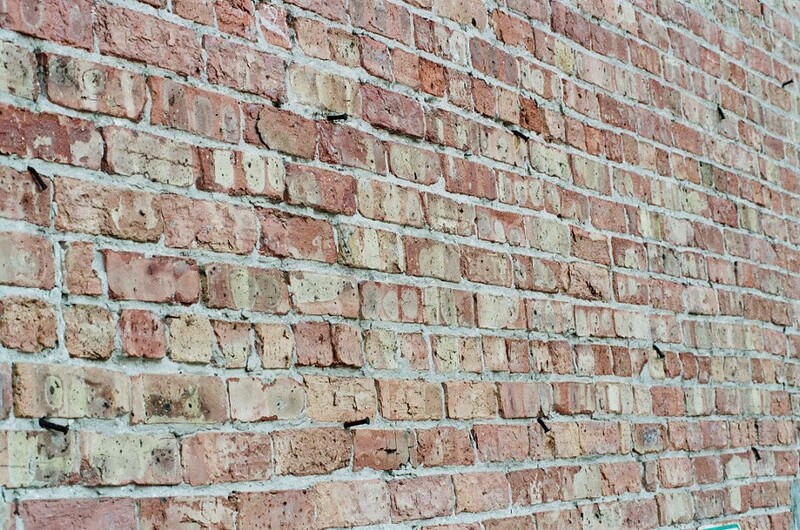 The Chicago common brick is coveted for its uneven salmon hues and lumpy imperfections. The Reader's archive is vast and varied, going back to 1971. Every day in Archive Dive, we'll dig through and bring up some finds. 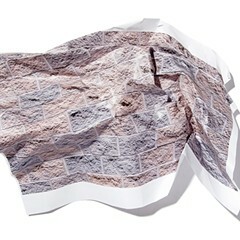 Tori Marlan's 1999 feature "Brickyard Blues" is the Reader at its best: an obsessively detailed examination of a part of city life that you'd never bother to think about—the brick—and the people whose lives revolve around it. Marlan introduces us to the world of brick stackers—independent contractors who toil long hours for low pay, cleaning and stacking "Chicago common" bricks at demolition sites. They fill pallets called "skids" with 530 bricks and get paid $10 per skid; the bricks are then resold all over the country for aficionados of the unique, rustic look of the Chicago common. The bricks these plants produced looked different from bricks produced elsewhere, a result of the geological composition of the indigenous clay and the way in which it was fired. The clay that borders Lake Michigan from Milwaukee to Gary, stretching west to where I-294 is today and south to Kankakee, is derived from drift deposited by the last northern Illinois glacier. Grayish blue in color, this ancient clay contains carbonates like limestone not typically found in clays used for brick making. The Chicago plants operated scove kilns—open-roof structures in which bricks were hand stacked and fired for up to 60 hours at temperatures between 1,500 and 1,800 degrees. When subjected to such intense heat, the blue clay turned shades of salmon or buff rather than the reds, creams, and browns seen in other regions. Each brick turned out mottled and textured. The limestone particles popped the ware. Variegations depended in part on each brick's proximity to the source of the heat. Bricks in the hottest zones tended to burn black and were badly deformed. Some bore shadows of the bricks stacked on top. Underfired bricks tended to be lighter. Before irregularities became coveted architectural effects, common bricks were a cheap and abundant resource—a prosaic building material for places generally obscured from street traffic: side and back walls, for example, chimney flues, and structural support behind facades. The transmutation of the Chicago common from a ubiquitous commodity to a coveted status symbol is a story of capitalism with all its racialized dynamics. The hard labor in this business is done by black people who have no job protection or benefits and the profits are reaped by white men who wield the advantages of cultural and economic resources. Marlan traces the origin story of the biggest player in the Chicago brick salvage game, Phil Mumford, "who revolutionized everything" with his all-too-appropriately named Colonial Brick Company. 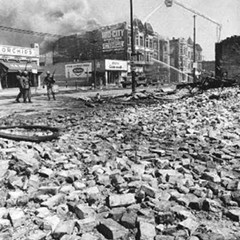 In April 1968, in response to the assassination of Martin Luther King Jr., rioters torched 162 buildings on the west side. When the smoke cleared and the demolition crews set to work, Mumford saw an opportunity. He knew little about bricks but had seen men stacking along a stretch of land where houses had been razed to make way for the Dan Ryan Expressway. He'd heard that a market for Chicago commons existed in the south, so he went to the library, found listings in the Yellow Pages for brick dealers in Texas, and made some contacts. Then he called some of his customers in the wrecking business and bought himself some bricks. He and a partner ventured out to a site on Madison Street and struggled all day to stack the equivalent of one skid. "We didn't know what we were doing," recalls Mumford, now a white-haired 62-year-old. "A couple black guys came by and said, 'Hey, man, this isn't going to work.'" Aware that he was treading foreign waters—and thankful for the excuse to stop stacking—Mumford hired one of the men to coordinate brick handlers on his behalf. With urban renewal projects all over town and a glut of bricks from the riots, there was plenty of work. Mumford paid the stackers and haulers at a rate of $8 per thousand bricks, then turned around and sold them for $30 per thousand, a little less than the price of new commons. He bought out his partner within a couple weeks and became the sole owner of Colonial Brick Company. The rain picks up in intensity. A 64-year-old man named Jimmy who stacks "to keep from starving" ties a plastic bag over his hair, looking weirdly out of context, like he should be sitting under a beauty shop dryer. When he finishes his skid—his second of the day—he hobbles over to Richard's van with the help of a cane, saying, "I'm outta this rain. I'm through." A growth the size of a softball protrudes from the back of his neck. Chicago commons absorb water. As it rains, the bricks get heavier. The mortar gets harder to knock off. "Your hands get cold," a stacker named Woody says. It's easy to see why his would. All five of his fingertips poke through the glove on his right hand. In the coming weeks, he will begin wrapping his fingers in duct tape to keep them warm. The last time he worked in the rain, he says, he caught a cold he couldn't shake for two months. He didn't see a doctor. Stackers rarely do. [Kevin] Gurican commutes to Colonial's brickyard from the western suburbs in a giant SUV, slugging down a giant Mountain Dew. He has short thin hair, a barrel chest, and a thick neck. He dresses casually, in jeans and work boots. He considers wearing a baseball cap a perk of the job, and enjoys that he can spit tobacco without hearing complaints. Outwardly he is easygoing and amicable, but when it comes to bricks he is all business, all attitude. Gurican fancies himself a whole new breed of brick boss: ambitious and professional, clinching deals on paper rather than with a handshake and a drink. He's college educated and Internet savvy. When he put up a Web page, he says, call volume shot up. "There was a lot of animosity from our competitors when I got into the business," he says. "They all started together pretty much. A lot of these guys didn't go to college. They worked their way to where they are now. And maybe I learned some things that they didn't, I don't know"—he majored in international business at Illinois State University—"but I do things a lot differently. I don't have a problem with stepping on someone's toes." By stepping on someone's toes he means wooing the competitors' employees and soliciting bricks from wreckers, who tend to deal exclusively with one brick company. In the past, he says, the brick bosses "stayed away from each other's wreckers." Colonial's biggest competitor runs his business from right across the street. "I flip him off every time I go by," Gurican says. The brick salvage industry as Marlan found it in the late 90s was a free-market jungle with no regulation or oversight. It seems that she embarked on this assignment to figure out not only what the work of the brick stackers was like but to see if the workers were attempting to push back in any way. What she found weren't hopeful cases of attempted unionization or community organizing on these workers' behalf. Instead, as is more common, the people with the sorest deal were too busy trying to survive with any dignity each of them could muster. Archive Dive Architecture News Chicago common brick common brick Chicago common brick demolition construction wage labor Tori Marlan. During the last building boom, developers favored the blocks for easy, predictable, and cheap construction. Numbed by cold, pelted by rain, enduring smashed fingers and toes, poorly paid brick salvagers keep coming back for more. The wholesale destruction of our oldest buildings is under way. Master builder Bill Lavicka does what he can to transplant the remains.